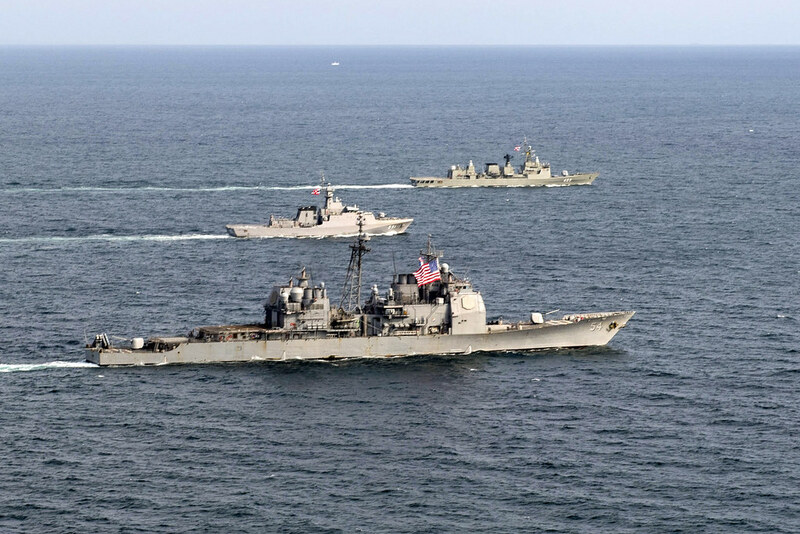 EAST CHINA SEA - The guided-missile cruiser USS Antietam (CG 54) and Royal Thai Navy ships HTMS Krabi (OPV 551) and HTMS Taksin (FFG 422) conducted a cooperative deployment in the East China Sea on Oct. 9, 2018. The event focused on navigation, communication and ship handling skills, improving interoperability between U.S. Navy and RTN forces. "This cooperative deployment is an opportunity for Antietam to exercise warfare skills with our Thai allies," said Capt. George Kessler, Antietam's commanding officer. "Joining our allies for this event benefits all ships at sea that depend on maritime security in the 7th Fleet area of operations." 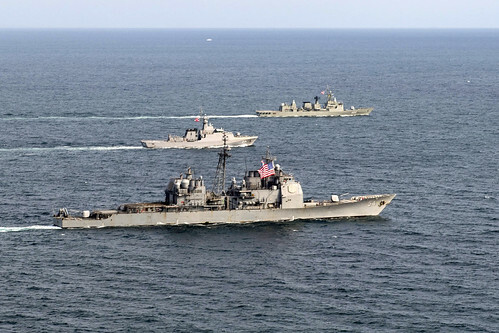 The at-sea serials are part of a longstanding naval partnership that includes exercises like Cooperation Afloat Readiness and Training (CARAT), Cobra Gold and Guardian Sea, as well as staff talks and port visits throughout the year. "Participating in a cooperative deployment like this is a great experience for our Sailors to hone their navigational skills alongside our Thai counterparts on the open seas," said Cmdr. Jeremy Watkins, Antietam's executive officer. "It's truly an invaluable opportunity for us to improve interoperability with our allies in such a critical area of the world." Officers and Sailors benefitted from the opportunity at all levels. Antietam is in the U.S. 7th Fleet area of operations supporting security and stability in the Indo-Pacific.